OPI and Ford Motor Company are going full throttle and taking the “pedi to the metal” with the official launch of the limited-edition nail lacquer collection inspired by the popular Ford Mustang. 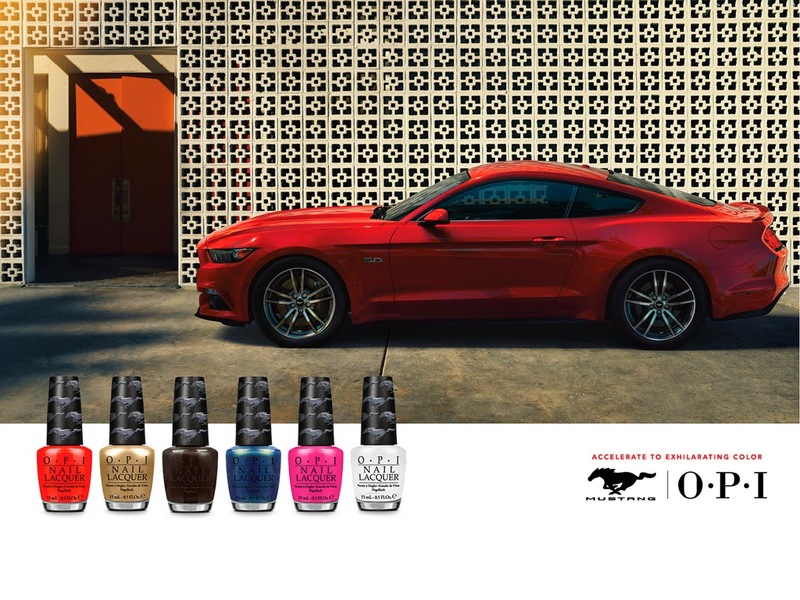 The OPI Ford Mustang collection features six Mustang-inspired shades that are set to hit U.S. stores in July. Coinciding with Mustang 50th anniversary celebrations this year, OPI marks the milestone with a standout collection of colors – all capturing the spirit, passion and excitement of Ford Mustang. Developed by OPI Co-Founder and EVP Suzi Weiss-Fischmann, the collection uniquely expresses the spirit of Mustang. “Nail color, just like the car she drives, is the ultimate expression of a woman’s personality,” says Weiss-Fischmann. “Automobiles are synonymous with style, and there is a special kind of love affair between a woman and her car. “These lacquers celebrate a woman’s pursuit of excitement and invite OPI fans to accentuate their personal style and embrace Mustang’s adventurous spirit through color,” she adds. The Sky’s My Limit: There is nothing like the freedom of the open road and shimmering, endless blue sky. This aqua hue awakens a woman’s sense of adventure and is a trend shade for summer going into the fall.